Graduate recruiters look for evidence of employability or transferable skills that lift you above the competition. Employers in the UK and across the world look for a range of skills and experiences in graduate employees in addition to a degree. That’s why, whether you have a career path in mind or are keeping your future options open, we’ll encourage you to build career development into all aspects of your student life from your first day. A university degree is an internationally recognised academic qualification – but it’s much more than that. Your course will encourage you to develop new ways of thinking and expose you to new cultures and diverse working practices. You’ll develop a range of skills such as problem solving, language ability, initiative, teamwork and creativity – all of which will help you stand out in the international job market. Your university careers service offers support, advice and guidance tailored to you, working hard to help you take control of your future. one to one career mentoring with experienced professionals. And don’t forget to come along to employer fairs, presentations and workshops; they are a fantastic chances to interact with employers and obtain an insight into graduate jobs and placements. Many courses allow you to take advantage of industrial experience opportunities that can help shape your career. You may also be able to undertake part-time work, allowing you to learn new skills and earn money while you study. Talk to your careers service about placements, vacation work and internships, work shadowing, mentoring and part-time work to give you a head start with employers. Working in a temporary position at the university looks good on your CV, as employers will be impressed that you can juggle study and a job. The positions are often flexible, allowing students to work around lectures and exams. A range of different jobs are available including administration or IT work, bar, hospitality or promotional work, library positions and skilled roles such as translating and photography. Cultural awareness is increasingly a key selection factor for graduate employers. You’ll not only mix with British people, you’ll also be able to meet students from all over the world, learn about other cultures and improve your communication skills. Universities have an active and vibrant students’ union, where you’ll find a range of societies, many of which are professionally focused. 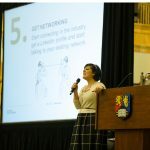 Get involved, broaden your connections and develop qualities that are great for your CV, such as leadership skills. Sport – it can provide more than just regular exercise and gives you a break from academic work. It can help nurture key skills that employers look for, especially for those involved in the executive teams or sports committees. Any activity that involves spending time, unpaid, doing something that aims primarily to benefit the environment or someone (individuals or groups) other than close relatives. Volunteering is a great way to enhance your university experience. It’s a great way to make new friends and become part of the local community as well as developing new skills and experiences which will look great on your CV when you start job hunting. There are a wide range of opportunities to get involved in. 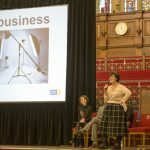 These range from activities that support other students and improve the university community, through to getting involved in charities and not for profit organisations in the wider community outside of campus. 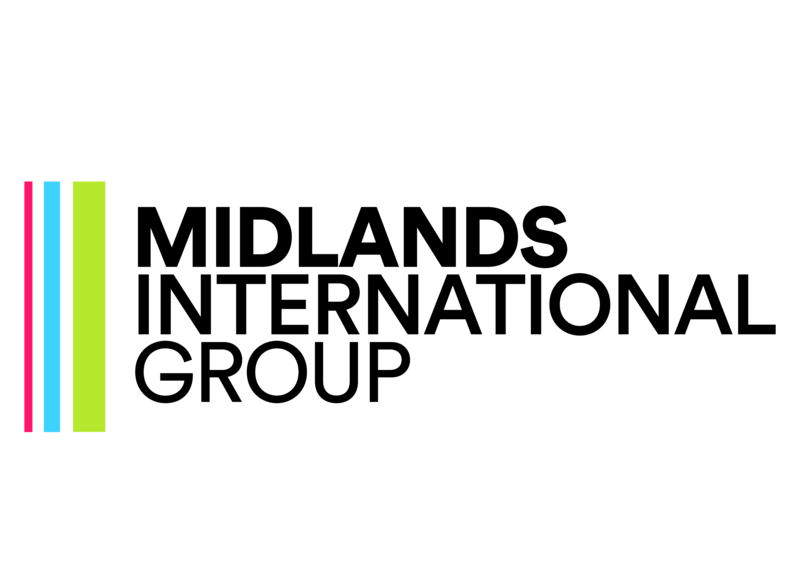 Find opportunities within charity and community organisations, by fundraising, through sports volunteering, within the environmental, by volunteering overseas, through being a student rep and by supporting vulnerable people. 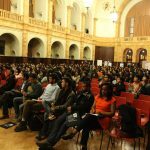 On Saturday 29th November 2014, approximately 500 international students and graduates from across the Midlands in the UK attended the ‘Develop Your Global Career’ Conference in the stunning Great Hall at the University of Birmingham. Organised collaboratively between 16 Midland based universities, the conference provided international students and graduates with the opportunity to meet and network with global employers, learn more about UK visa opportunities and develop their overall global employability attitudes. Around 20 employers and organizations such as the Association of Chartered Certified Accountants (ACCA), Access Tier 5 (AIESEC), the British Council, BUNAC, Chopsticks Club, Progressio and FDM attended the conference. 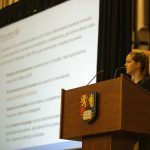 The event was sponsored by CPA Australia with Hayley Angell (Relationship Manager – Education) providing a great overview on the company and speaking about the traits of what makes a global graduate. 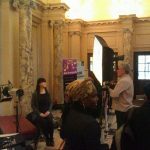 CPA’s stand also included a photo booth, which enabled students to receive a free professional photo to include on their LinkedIn pages or professional portfolios – definitely an added bonus. They also ran a competition whereby the winning applicant will meet and have lunch with a business leader within the company, which was an amazing opportunity for one lucky student/graduate! The conference kicked off with a panel of representatives from organizations such as UKTI, Freeths, Decathlon and CPA Australia giving talks to students about developing a global mind set and considering a desired global graduate’s personality traits from an employer’s perspective. 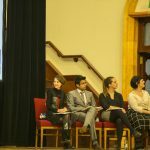 The panel also included a couple of students who shared their experiences and what they had personally gained from the previous work experience that they had undertaken in an international environment. After the panel talks, students were then given the valuable opportunity to network with company officials and professionals and develop their network of contacts. Employers set up stands in an exhibition area and were available for student’s enquiries as well as providing information and promoting themselves to the event’s guests. 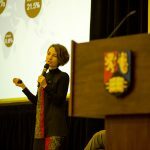 The conference also offered two different types of workshops to international attendees. Workshop One was extremely valuable and included information on how students and graduates could apply for Tier 2 and Tier 5 visas in the UK and what options were available. The workshop focused on the eligibility and requirements on applying to a Tier 2 or Tier 5 visa. The process of how to apply for visas was explained thoroughly and instilled different cases studies. Workshop Two introduced and guided students in to becoming a ‘global graduate and obtaining a global mindset’. This workshop was more interactive and influenced student’s thinking of how they could develop into a global graduate. Speakers encouraged students to ponder the prerequisite in to working internationally. Students were reminded that subjects like cultural agility and differences are inevitable in a mixed-cultural working environment. It provided a framework to students of “How will working internationally be like” and “What employers want from us”. The ‘Develop Your Global Career Conference’ really helped students who are starting with nothing. It was not a job hunting fair where job offers were directly offered, however, it gave students the opportunity to develop valuable global networks and gain better insights from employers in to what a ‘global graduate’ is, all from a variety of different international backgrounds. 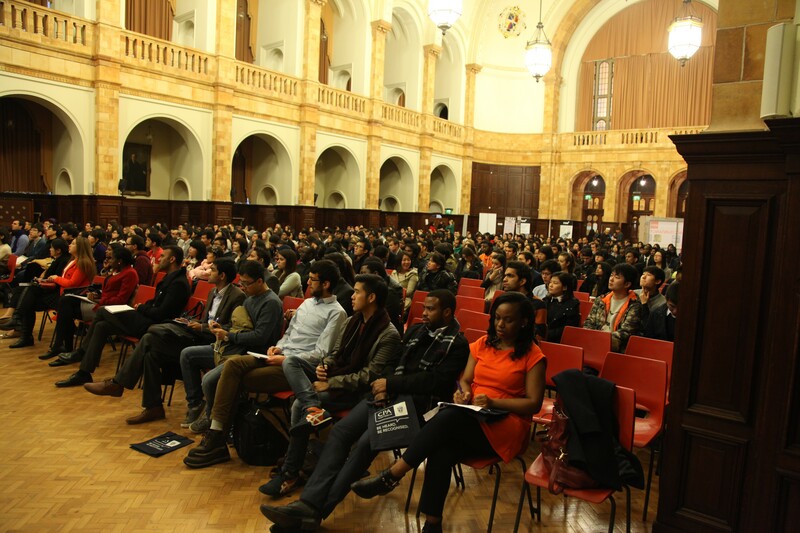 The University event organizers worked hard to provide detailed information of being able to work in the United Kingdom or internationally. 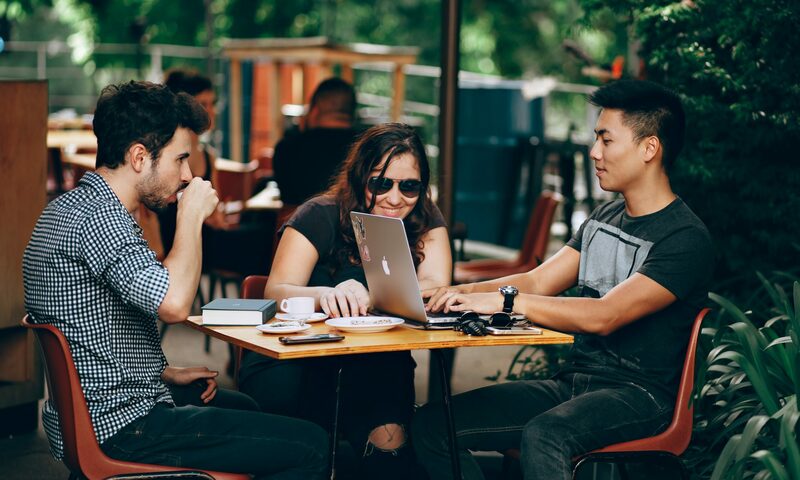 International students can then start to better prepare themselves for the future challenges that they will face after graduating and what potential career opportunities may be available. It is not about getting short-term and immediate benefits but long-term and visionary attributes in establishing yourself to the coming chances. 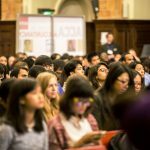 I would definitely encourage international students and graduates who are planning to work in the UK (or abroad) to participate in these types of events. It is fun, it is useful and it was also FREE.